Capturing and sharing ocean sailing stories and adventures. The Ocean Sailing Podcast site is designed for people who love to cruise, race or explore the worlds oceans. Its also for those yet to experience the joy of sailing and those no longer able to cast off their dock lines and head for the open sea. 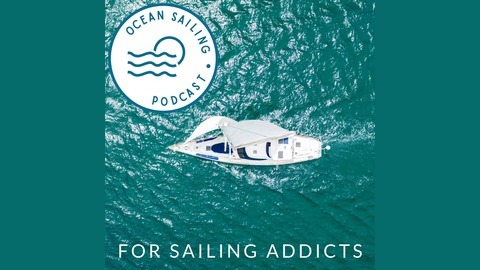 Join now and subscribe free to our podcast episodes and show notes at http://oceansailingpodcast.com. Glenn Ashby: Capsizes, 100% foiling and 50 knot speeds in Americas Cup 36? From the moment Glenn Ashby won his first A-Class Cat World Title in Spain at age 18, he demonstrated an innate ability to understand the physics in play on the water and interpret them better than anyone else in his chosen class. As the winning 2017 Americas Cup skipper and wing trimmer for Emirates Team New Zealand and now Cup Defender for the next edition on Auckland Harbour, Glenn shares insights on the design evolution to the new 75-foot foiling monohull and how the return to some of the traditional elements of Americas Cup match racing such as; upwind starts, larger sailing teams and tacking duels have driven the monohull design and created this hybrid of both ‘tradition’ and ‘futuristic’ design that even a ‘catamaran purist’ could love. Glenn gets technical on the physics that drive the performance of this exciting new monohull and candidly shares his thoughts on potential speeds, likelihood of capsizes, the potential for 100% fly time and the changes to crew selection strategy with the new design. 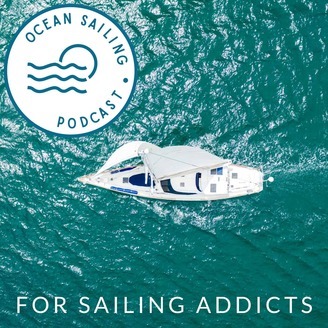 Visit Ocean Sailing Podcast for offshore sailing opportunities and podcast extras and follow us on Facebook.